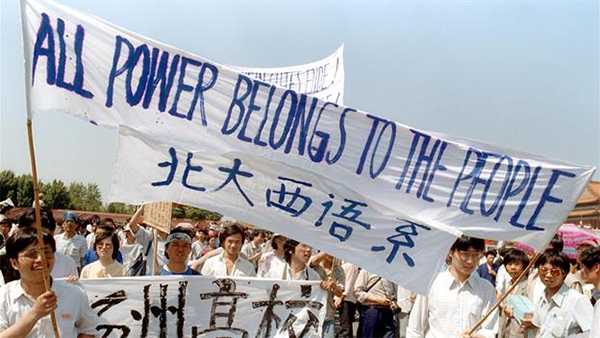 Twenty-seven years ago today, on June 3, 1989, government officials in the People’s Republic of China authorized its soldiers and tanks to reclaim Beijing’s Tiananmen Square from protesting students and others seeking democratic reform. By nightfall on June 4, Chinese troops had forcibly cleared the square, killing hundreds and arresting thousands of demonstrators and suspected dissidents. During this time, a graduate student from China was working at the same company where I was employed. I witnessed him using the Internet to exchange messages with freedom-loving compatriots all over the world. He was somewhat frightened that the Chinese government would discover what he was doing and harm his family back in China, so he asked me to not tell others what he was doing at that time. As I watched what he was doing, I realized what a powerful force global electronic communications could be in the support of personal freedom. I’m sure the tremendous advances in personal freedom that have occurred in China since that time are due at least in part, to interpersonal communications via the Internet. If people can communicate, it is really difficult for governments to suppress them and deny freedom. 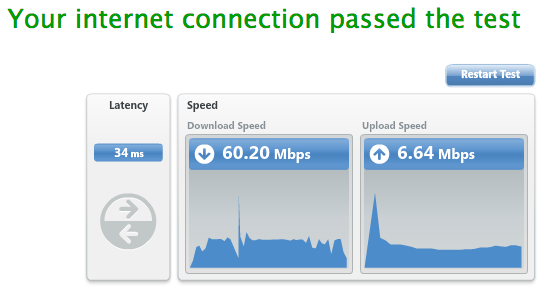 In order to register for an interesting online service this afternoon, I had to perform an Internet speed test. It was nice to know that we (my computer, my internet connection and I) passed quite handily! A lot of water has passed beneath the proverbial bridge since 300 baud acoustic coupler modems! Are We Addicted to Broadband Internet? Jeremy Duncan seems to be addicted. Are you? I thing my family would rather have a full-scale electrical blackout that an Internet interruption. I don’t agree with all Tim says in the article, but enjoyed reading the article and considering what he had to say. It was the subject of “threat” that caught my eye first. I know that government regulation is a threat, but how does Facebook threaten the Web? Because the Web is yours. It is a public resource on which you, your business, your community and your government depend. The Web is also vital to democracy, a communications channel that makes possible a continuous worldwide conversation. 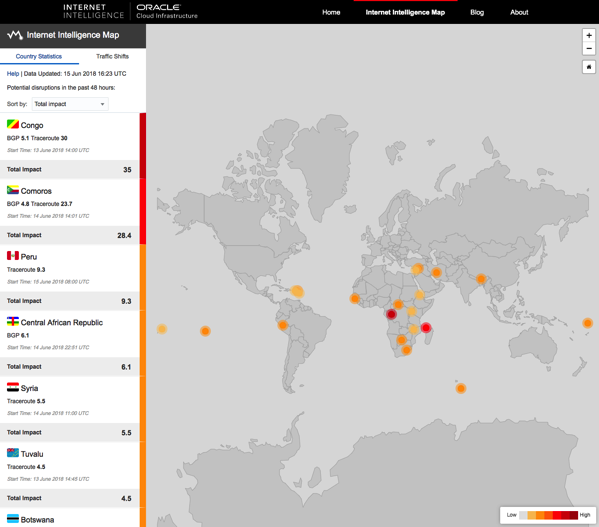 The Web is now more critical to free speech than any other medium. It brings principles established in the U.S. Constitution, the British Magna Carta and other important documents into the network age: freedom from being snooped on, filtered, censored and disconnected. I like the focus on personal freedom. I do believe that governments have difficulty oppressing their citizens if the right to communicate openly is assured – a philosophy the Web supports – if remains an open, easily accessible medium of information interchange. Open standards also foster serendipitous creation: someone may use them in ways no one imagined. We discover that on the Web every day. In contrast, not using open standards creates closed worlds. Apple’s iTunes system, for example, identifies songs and videos using URIs that are open. But instead of “http:” the addresses begin with “itunes:,” which is proprietary. You can access an “itunes:” link only using Apple’s proprietary iTunes program. You can’t make a link to any information in the iTunes world—a song or information about a band. You can’t send that link to someone else to see. You are no longer on the Web. The iTunes world is centralized and walled off. You are trapped in a single store, rather than being on the open marketplace. For all the store’s wonderful features, its evolution is limited to what one company thinks up. So what about net neutrality? A neutral communications medium is the basis of a fair, competitive market economy, of democracy, and of science. Debate has risen again in the past year about whether government legislation is needed to protect net neutrality. It is. Although the Internet and Web generally thrive on lack of regulation, some basic values have to be legally preserved. This is an area where I may differ a bit with Tim. It seems to me that we could have an Internet with different classes of service with different price tags, just like we have an automobile industry with different levels of luxury in the cars we buy. It certainly is a timely topic and Tim’s comments are definitely worth reading. All in all, a great article by a giant in our industry. Thanks, Tim, for taking the time to write it. Tim Berners-Lee invented the World Wide Web. Today he is director of the international World Wide Web Consortium, based in the U.S. at the Massachusetts Institute of Technology. He is also a professor of engineering at M.I.T. and a professor of electronics and computer science at the University of Southampton in England.